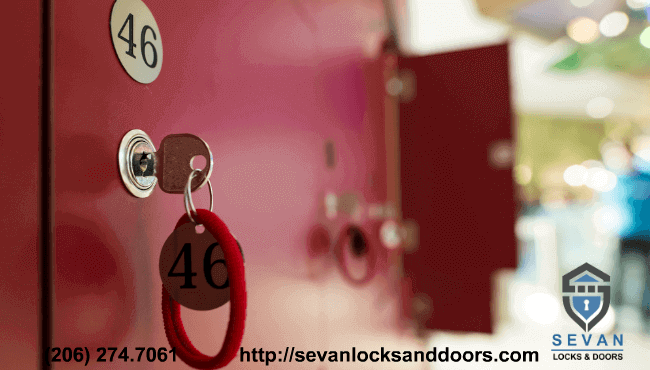 Sevan Locksmith specializes in cutting and duplicating any types of mailbox keys on the spot. With the latest tools and techniques available to us, we can assure our customers of fair prices, fast response times, and the best extended warranty available. Call our Seattle mailbox key service at (206) 274-7061. Don’t forget about our online specials. Mailbox keys are easy to lose, but hard to replace. If you live in an apartment, condo, or a rental, check with your office or landlord and see if they have a duplicate mailbox key on hand. You always can call our Seattle mailbox key made service and get your key made done in no time. Keeping your mailbox secure is essential to avoiding identity theft, fraud, and a multitude of other things that can happen if your mail is stolen. While credit card and other companies with your personal information are making it a top priority to ensure your information does not land in the wrong hands. Your mailbox lock is the first line of defense against this. In the event that you need a new mailbox keys made, you need to do so immediately and ensure that your key was not in fact stolen. If it was stolen, we will install a new lock for you in order to keep your mail service as secure as possible. Is your mailbox not maintained by USPS? This is where our highly trained team comes in. We specialize in cutting any type of mailbox keys on the spot. With the latest tools available to us, we can assure our customers of fair prices, same day service, and the best warranty available. All of our Seattle mailbox key cutting services are done by a licensed, local locksmith who will respect your privacy and ensure that the mailbox is as secure as possible. If you have lost your mailbox key, don’t panic. Our Seattle mailbox key made team carry a large selection of new mailbox locks to fit any type of mailbox, and each new mailbox lock comes with three keys for your convenience. Some people may think to try and pry the mailbox open, but this is actually a very bad idea as it can damage the integrity of the mailbox, the lock, or the post. If it gets too severely damaged it will have to be replaced and the postman may suspend your mail services until it is fixed. When it comes to your mailbox key made service, you need a company you can trust. The security of your privacy is our number one concern, and we take extra precautions when creating a new mailbox key in order to preserve this trust. We know that we have a responsibility to you, the customer, to be honest, straight-forward, and helpful when you need a mailbox key made, We constantly train our locksmiths on the most up to date techniques, procedures and tools to make sure we can quickly and efficiently get your service done in no time. Call us today at (206) 274-7061 to schedule an appointment, request Seattle mailbox keys made service, or to learn more about how you can keep your mail from ending up in the hands of an identity thief. We have a comprehensive list of preventative measures you can take, as well as advice on how to get a new key made from USPS should you need it. We are available 7 days a week. We never charge extra for nights or weekends.